This lovely clover is very similar in appearance to Red Clover (Trifolium pratense) except that its stems have noticeable 'angles' throughout their length. 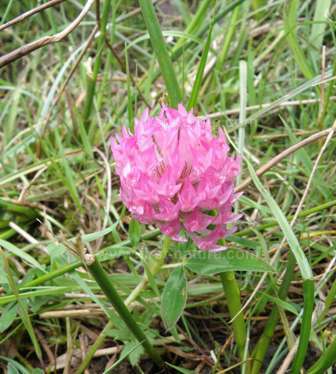 Zigzag Clover is still common throughout the UK and Ireland but needs undisturbed ground for its survival. The plant flowers from May and onwards well into July.